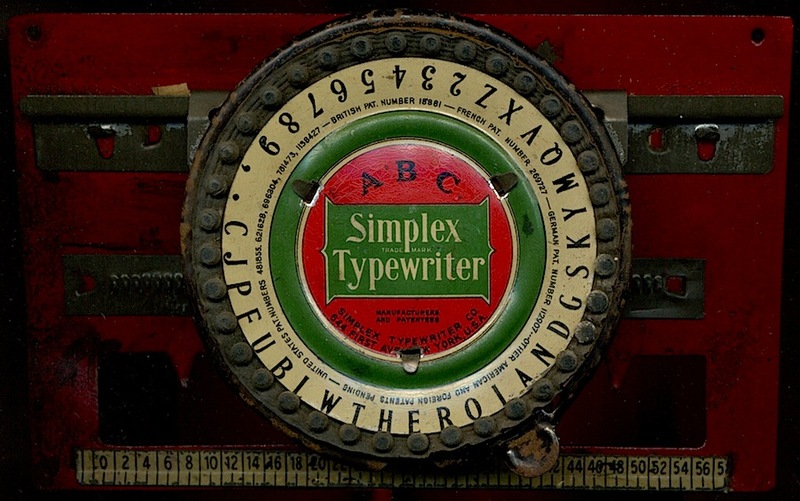 This Simplex typewriter is not complete, but its appeal is the packaging. 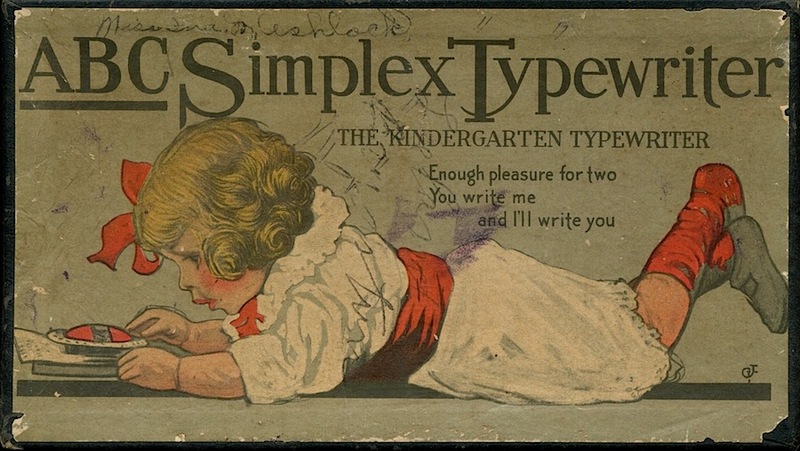 The box features a small child composing a message. 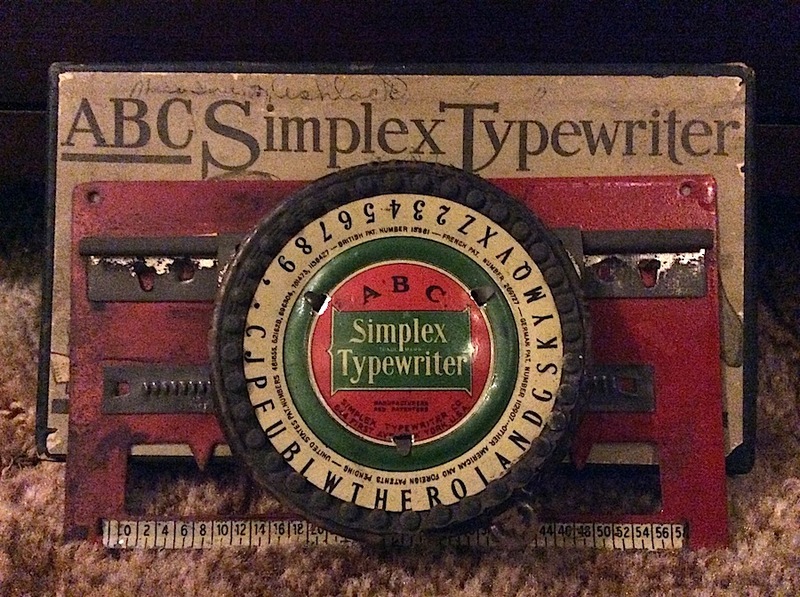 The slogan reads, “You write me and I’ll write you.” There is something special about a child learning to write. First, she writes her name (identity), then, she composes a small message (society). To observe this in a child is a real joy. Agreed. 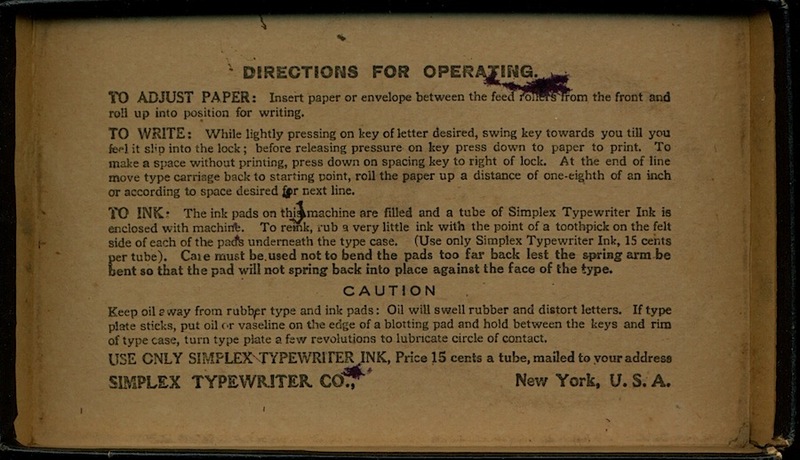 Simplex typewriters are not on the top of my collecting list, but the box alone sold me on this one.